These tools from COMP Cams will allow machining of the cylinder head to the proper size for your spring. Each cutter requires the use of an arbor/ pilot, which is available in three different sizes. These arbors/pilots will also work with the valve guide cutters used for shortening the guide for a high lift cam or installing a COMP Cams PTFE seal for oil control. 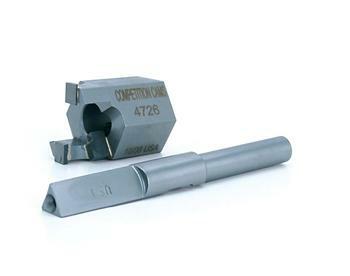 Seat cutters available in many sizes from 1.320”-1.810” O.D.